Feel at home in this spacious sunny two bedroom - two bath corner end unit located in the desirable Garth Essex complex. Enjoy your morning coffee out on your screened in terrace overlooking Garth Road. The inviting Circular driveway is enhanced with beautiful seasonal landscaping. 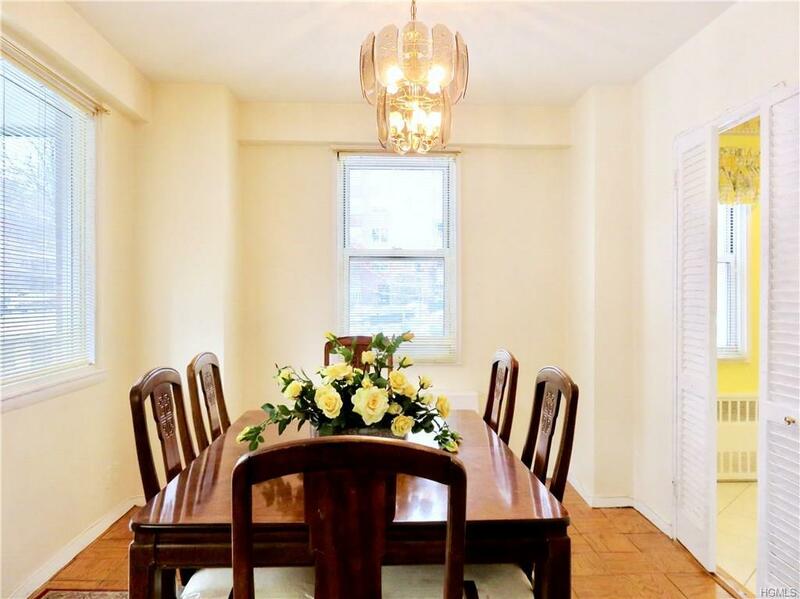 This beautiful unit offers a great entertaining floor plan with an oversized living room, sunny Dining room, bright - updated kitchen & baths, parquet floors, central air, an abundance of windows and California closets. Parking is available with short waitlist for garage. Storage, bike room available. 33 minute train ride into Grand Central from the nearby Scarsdale Metro North Train Station/Village. Conveniently located near shops, restaurants, gyms (soul cycle), Bronx River hike/ bike path and parkways. Star credit of $128 a month. Eligible for Lake Isle Membership offering 5 swimming pools, 8 Tennis courts, 18 Hole Golf course. Listing courtesy of Maria Belmonte of Houlihan Lawrence Inc..